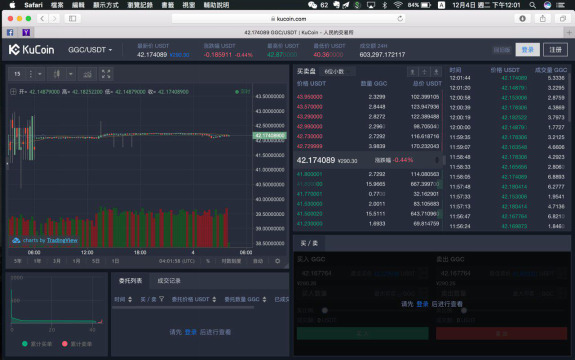 NEW YORK, NY / ACCESSWIRE / December 4, 2018 / On November 30th (UTC+08:00), GGC is officially listed on one of the most reputable crypto exchanges KuCoin with two trading pairs GGC/BTC and GGC/USDT. By 3pm on December 4th, past 24-hour transaction volume of GGC/USDT reached 603,747.9 USDT, and GGC/BTC reached 122.72BTC. And the total transaction volume had run up to 4.65 million USDT, which GGC/BTC reached 336.23BTC (equals to 1,355,168USDT), and GGC/USDT reached 3,298,926.59 USDT. GramGold Coin is the hedge coin of the crypto world. An1-gram physical gold backed token minted with legitimate proof of asset by a bullet-proof process. Every single GGC is issued out of gold already purchased and held by a world class independent gold vault instead of crowdfunding from ideas and plans. GGC select "ICC", initial coin circulation instead of an ICO. GGC aims to be used as a base currency quoted against all major cryptos with tight bid/ offer due to its stability and zero correlations with other major cryptos. GGC with its gold-back proof-of-asset solidly supports a floor price of gold value which is stable and transparent. Gold's historical volatility is 9.2% as compared with Dow's volatility at 15%, MSCI World Index's volatility at 15.5% and USD Value Index's volatility at 8.8%. Gold also has a negative correlation with Bitcoin (-16%), Ethereum (-21%) and USDT (-77%). Besides, GGC's partner BullionStar, a leading gold vault brand in Singapore, will be examined twice a year by Bureau Veritas, an internationally renowned third-party auditing company. The brand is 100% insured by Chubb Limited, a world-class property insurer. According to Thomas Huang, CEO of GramGold Coin, funded by venture capital including IDG and Matrix Partners, KuCoin's persistent concentration on its development highlights itself in the fiercely competitive exchange market, that's the reason GramGold Coin chose KuCoin. 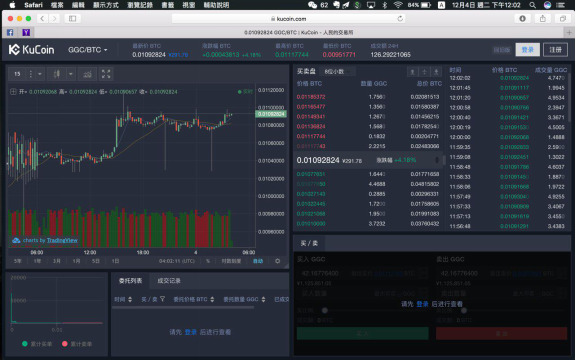 In addition to expect further cooperation with KuCoin, GramGold Coin aims to bring the ideas and insights of how to manage investment risk in traditional finance to investors in cryptocurrency market.